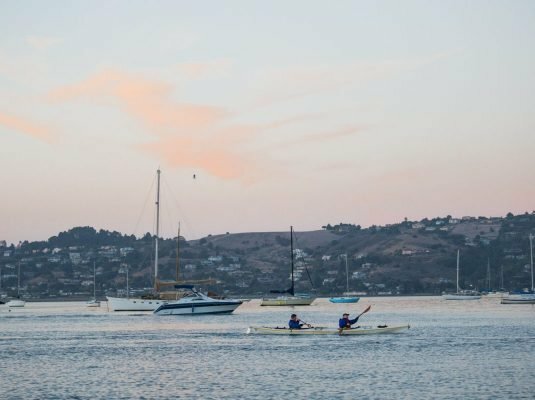 The same trip as our Full Moon Paddle, but with dinner included from a local restaurant. As the last rays of sun sink beneath the horizon, we stop by the Salsalito Taco Shop for a hearty meal that includes ceviche, fish tacos, tostadas, fajitas, enchiladas, and more. You can also sample their Agave Margarita, but only order one! We do have to paddle back, after all. Dinner is included in the price of the trip, but not alcohol. 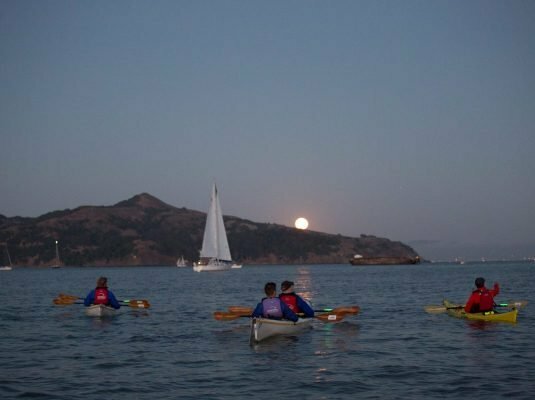 After dinner, we’ll get back into the water and experience the thrill of a nighttime kayak trip. 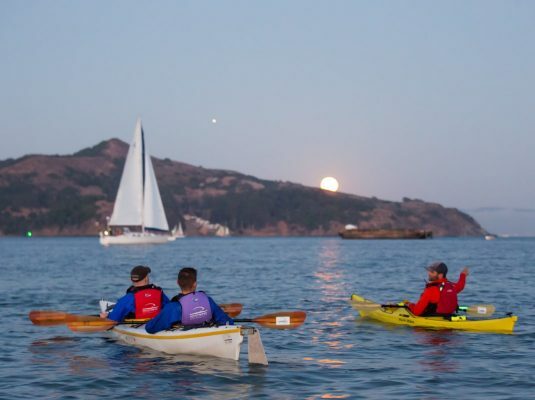 As the moon rises over Angel Island, we’ll bring our boats together and enjoy the sparkling San Francisco skyline, and the silvery moonlight in the wake of our kayaks. The Full Moon Dinner runs at different times, depending on when the moon is full and what time the sun begins to set. 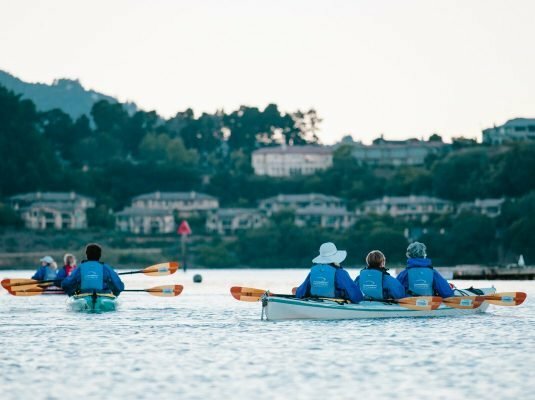 Book your reservation through this website, or by calling (415) 332-8494.